You have a lot of options when fly fishing Hawaii. 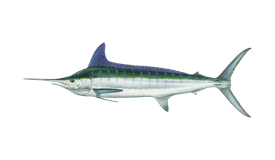 The four main islands all have their share of sandy beach fronts, shallow coves, and deep bluewaters full of everything from Bonefish to Sailfish. Head inland, and you can find lakes and reservoirs stocked with Bass and even Trout. 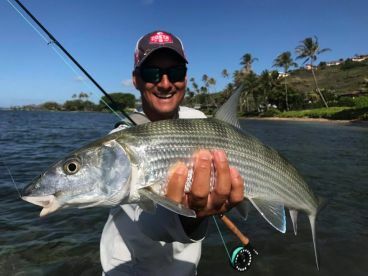 Hawaii may be best-known for heavy tackle trolling action, but there’s plenty here to keep fly anglers happy, too. What you target kind of depends on the island you visit. 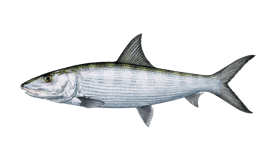 Big Island and Oahu have some of the best flats fishing, with O’io (Bonefish), Kaku (Barracuda) and Ulua (Trevally) in big numbers. 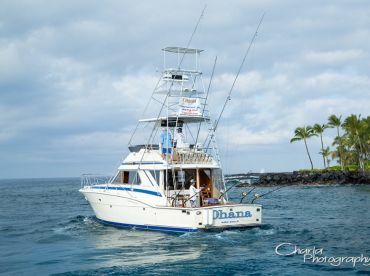 You can catch Bonefish without even leaving Honolulu, and Kailua-Kona’s flats would be famous if the town wasn’t already legendary for deep sea fishing. If you want to head offshore, you won’t be short of big game fly fishing specialists wherever you are. 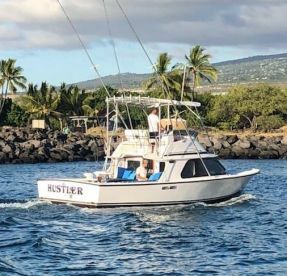 Charter a trip with one of these boats, and you could get on Mahi Mahi, Ahi (Yellowfin and Bigeye Tuna), A’u (Marlin), and A’u Lepe (Sailfish). 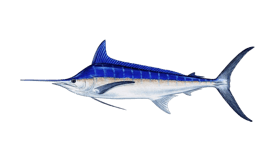 Blue, Black, and Striped Marlin can all be caught here, and anglers travel from far and wide for the chance to take them on the fly. Local charters are better-equipped than in many other places, and the sheer number of fish really brings that dream catch within reach. But it’s not all about saltwater fly fishing. Head inland in on Kauai or Oahu, and you can find Largemouth and Peacock Bass, Rainbow Trout, Snakehead, and more. The fish here may not grow to record-breaking size, but they still put up some serious fight! You also couldn’t ask for a more beautiful place to target them. Mantis and crab patterns work best for Hawaii’s Bonefish, with natural colors drawing more attention than bright reds and yellows. You’ll need a sturdy eight-weight rod with a quality saltwater reel and at least 250 yards of backing when going after Bonefish. 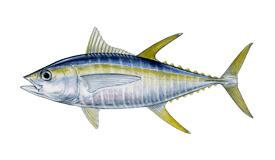 If you’re heading offshore, most charter captains use custom fly gear somewhere in the 14-weight range. It obviously depends on the species you’re after, though. Bait-and-switch fishing is the most popular way to target Hawaii’s deep sea species. You can also enjoy some pure topwater action around the buoy FADs that surround the islands. 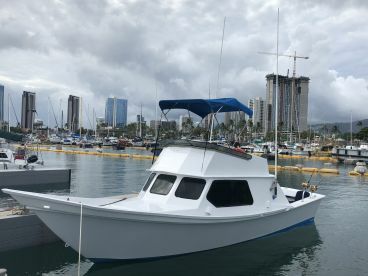 You don’t need a license to fish for saltwater species in Hawaii, whether you’re with a guide or out on your own. If you’re going after freshwater fish, you’ll need a freshwater fishing license. You can find detailed information and buy your license online.